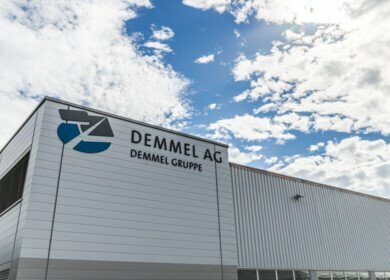 The Demmel Group is a group of medium-sized, family-owned enterprises with a total of some 1,300 employees. The production locations are in Scheidegg and Weiler in the Allgäu region, Augsburg, Munich, Switzerland, China and Singapore. The group’s core competencies are high-end products and system solutions in the fields of decorative parts and surfaces, control systems, electronics and mobile energy supply. Our main customers are in the automotive, mechanical engineering and household appliances industries. The focus of the group is on complete systems for human-machine communication. Our specific combination of know-how in metals and plastics processing as well as electronics enables the development and production of innovative, customised control systems to high design standards. Support us with our challenge of developing and implementing marketable products and system solutions in top quality. Whether you’re an apprentice, specialist or manager: In our family-run companies in the Demmel Group, you can expect a modern workplace, varied development opportunities, team spirit – and of course the high quality of life at all our locations, especially in the tourist regions. To ensure this continues into the future, we follow our vision, values and principles. Read on to find out what they are. We look forward to hearing from you and maybe meeting you soon. what is important to us and what values we operate under in the long term. Each individual can help make our vision reality. We are all responsible for matching our actions to our joint values at Demmel – now and in the future. We want to be the first contact for our customers when it comes to the manufacture of high-value, unique and branded premium decorative parts. Our high-tech manufacturing shops and our employees are the guarantee for high-quality, industrially produced top products. 1. Our customers are at the centre of what we do. For more than 130 years, we have been a reliable partner of our international customers. We offer them expertise and innovative solutions in the fields of design, surfaces and functions, as well as in electronics, plastics and battery technology through to laser marking and surface marking. We design our processes to meet the demands of our customers around the world. What’s more, we continually improve process quality and efficiency. Together with our customers and suppliers, we develop new products in a spirit of true partnership. 2. We value, support and encourage our employees. Their competence is our most important asset. Preserving it and developing qualified staff through further training and new recruitment is our primary management task. We apply a uniform management culture with effective instruments. Care and social responsibility are key to our image as a tradition-rich, family-run company at all our locations. Our employees are dedicated to quality and loyal to the company. Colleagues treat each other with reliability, responsibility and tolerance. We stick to agreements. We are open to and interested in other cultures and markets. That’s why we also want to grasp opportunities to learn from foreign cultures and economies. All our employees without exception comply with applicable laws and standards of conduct as well as with our business guidelines and procedures. 3. We aim for sustained business success. Our manufacturing and logistics operations follow modern, lean production principles with uniform standards. We always examine the profitability of our work as well as the efficiency and stability of our business processes. In our products and processes as well as our personal actions, we aim for innovation and excellence – one reason why we are the innovation leader in our industries. Together we tackle the challenges we face to develop further as a global player with presence on the ground. Only then will we secure sustained success in international competition. We aim to be accepted worldwide as a leader in our fields. 4. Sustainability is a central theme. We’re proud of our tradition and experience as well as the successes so far achieved during our corporate history. We are conscious of our responsibility towards society and the environment. 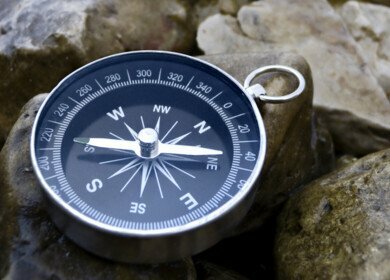 That is why we assess the impact of our actions on the future and are committed to sustainable production. A basic principle for us is honest and fair dealings with business partners, employees, investors and competitors. Our activities focus on processing all customer and contractual relationships with absolute integrity. Ethically correct and responsible conduct is just as essential to our work as respect for the rights of each individual and respect for the Environment.